Last week’s economic news was dominated by speeches given by Federal Reserve presidents, the minutes from April’s FOMC meeting and commencement address given by Fed Chair Janet Yellen. The latest readings for new and existing home sales were also released. Here are highlights of comments made by each of the Fed presidents’ speeches. Richard Fisher, president of the Dallas Fed, and John Williams, President of the San Francisco Fed, spoke at a conference held at the Bush Institute. John Williams, president of the San Francisco Fed, said that he was concerned about slowing momentum in housing markets, although he noted that housing had driven economic recovery in the aftermath of the recession. The inflation rate has remained well below the Federal Reserve’s target rate of 2.00 percent, and Mr. Williams said that the Fed is paying close attention to this. His remarks were supported in Wednesday’s release of the FOMC minutes of its April meeting. Charles Plosser, the Philadelphia Fed’s president, took an optimistic tone at a speech given before the Women in Housing Foundation on Tuesday. He said that the national unemployment rate could fall below 6.00 percent by the end of 2014 and that he expects the housing market to bounce back as well. This makes sense, as strong labor markets are known to influence consumer decisions to buy a home. New York Fed President William Dudley spoke before the New York Association for Business Economics, and said that there would be “a considerable period of time” between when the current asset purchase program ends and the first Fed rate hike would occur. He also indicated that he expected longer-term interest rates (which include mortgage rates) to be “well below” a historical average of 4.25 percent. Minneapolis Fed President Narayana Kocherlakota said that the Fed should consider targeting price levels rather than the current policy of targeting the inflation rate. He said that this was not likely to occur any time soon, but noted that current Fed policy is “undershooting” the central bank’s goals for unemployment and inflation. Fed Chair Janet Yellen cited her predecessor, Ben Bernanke as a positive example when she spoke at New York University’s commencement. She noted that he took “courageous actions unprecedented in ambition and scope” and that his “grit willingness to take a stand” had directed his decisions during the recession. Freddie Mac reported that average mortgage rates dropped last week. The average rate for a 30-year fixed rate mortgage fell to 4.14 percent, a drop of six basis points. The rate for a 15-year fixed rate mortgage fell by four basis points to 3.25 percent. 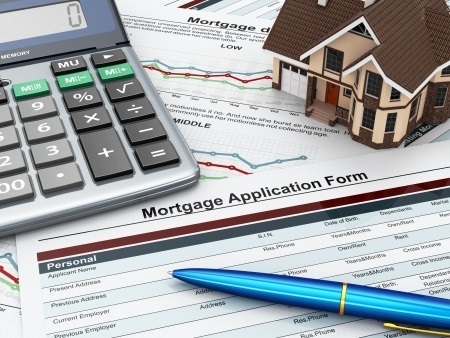 The average rate for a 5/1 adjustable rate mortgage dropped by five basis points to 2.96 percent. Discounts were unchanged at 0.60 percent for 30-year mortgages and 0.40 for 5/1 adjustable rate mortgages, but dropped to 0.50 percent for 15-year mortgages. Sales of existing homes rose to their highest level in four months according to the NAR. Month-to-month sales of previously-owned homes rose by 1.63 percent in April to a seasonally adjusted annual rate of 4.65 million sales as compared to March’s reading of 4.59 million sales. This was the first rise in sales of existing homes in 2014, and nearly met expectations of 4.66 million sales. After the Memorial Day holiday, this week’s economic news includes the Case-Shiller Home Price Index, FHFA’s house price index and consumer confidence index. Pending home sales, jobless claims and Freddie Mac’s mortgage rates report along with the University of Michigan consumer sentiment index round out the week’s scheduled events. Believe it or not, paint colors can affect your mood. When remodeling your home, the color you use on the walls can end up being just as critical to the thematic consistency of your home as the furniture you use to decorate it. Before you slap any old color on the walls, take some time to consider what mood you’d like each room to inspire. Ever wonder why the dining rooms, kitchens and entertainment rooms you see in magazines always seem come in every shade of red? It’s because these rooms are dedicated to eating and leisure time. Shades of red, especially bright, vibrant reds, have been linked to increased appetite and increases in energy levels. In a similar vein, we have shades of yellow. Typically, yellow hues have been known to encourage feelings of happiness and joy. That said, it’s a good idea to steer clear of especially bright shades of yellow that can be harder on the eyes, as they can foster feelings of frustration and an inability to concentrate. Orange, like red, provides a great way to bring up energy levels, but like yellow, is prone to cause irritation when used excessively. People are more likely to be excitable and show more enthusiasm in rooms that incorporate this color. In order to reap the benefits of orange without causing irritation, restrict your use of it to the odd wall here and there. It’s no surprise that blue is the color of calm and relaxation. For bedrooms and bathrooms, blue hues are ideal for inspiring restfulness; however, this color’s calming influence makes it a poor paint color choice for high traffic areas where high energy levels are necessary. Occasionally, overusing this color – especially in darker shades – can bring moods down beyond calmness and into sadness and depression. Green is yet another color that inspires peace and restfulness. The advantage of green is that the serenity it brings on is accompanied by feelings of rejuvenation and replenishment. Think of green spaces as places where you can gather yourself and quietly rebuild your energy levels. Purple is often associated with lavishness and luxury in deep, rich hues that spark creative thinking. In lighter shades, it has the same calming influence of blue but, thanks to its red undertones, none of the sadness that blue can often have. It’s unlikely that you will be painting any of the rooms in your house in a single shade of any of these colors. Experiment with different shades and work with colors that inspire similar emotions to break up the visual impression of the room. You can use neutral paint colors like brown, black and white to bring depth to room, or to suppress the harsh tones of brighter colors like yellow and orange. Psychologists have long known that colors affect mood, and in recent years, the interior design world has caught on as well. 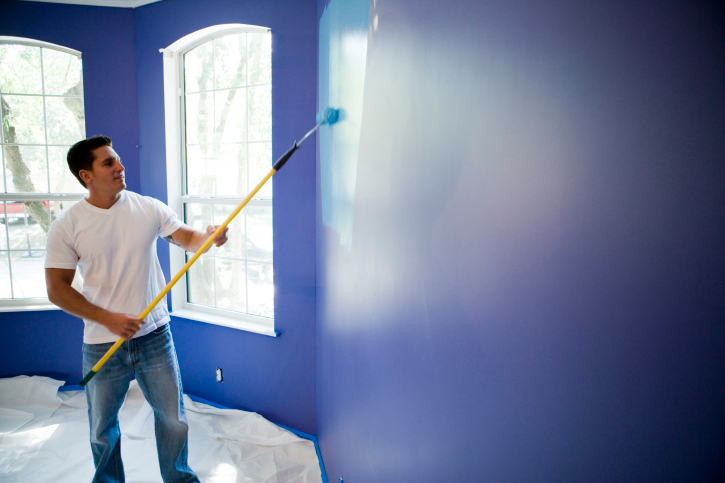 Now that you understand how paint colors can alter your mood, it’s important to paint your walls wisely. To learn more about home care and prepping your home for sale, call your trusted real estate professional today! Environmental allergens affect the way many people live their lives and clean their homes. Allergens make their way into our houses, and can settle in some unexpected places – but knowing where these irritants can hide can help you eliminate problematic allergens from your home. If your house has you sneezing and wheezing in every room, here are three allergy-triggering places where you wouldn’t expect to find allergens in the home. Visitors to your home brings allergens with them. Allergens are easily transferred from your visitors onto your carpets and couches. Even if you do not have pets of your own, animal dander can easily find its way in with visitors from pet-friendly homes. Your couches and cushions are hot spots for irritants. If you are find yourself exhibiting allergy symptoms in your living room, look to your cushions to find some relief. These cushions and throw blankets can be placed into the dryer for a few minutes to get rid of irritating dander and dust mites. Items that cannot be placed in the dryer should be cleaned regularly according to the manufacturer’s directions. A good vacuum with a HEPA filter can pull allergens out from flooring, drapes and couches. The kitchen may be home to mold that triggers your allergies. Steam from cooking and cleaning carries moisture into the air, and can cause damage not only to your health, but also to your home. Dishwashers and other appliances can contribute to mold growth in a big way. Areas that are not regularly cleaned and properly maintained could be triggering allergic reactions. To get allergy relief, clean and sanitize the rubber seals of all your appliances. If you suspect mold may be an issue, have a professional test your home. Whereas surface mold can be killed and cleaned, more serious mold problems may require renovation and cause serious harm. Dust mites flock to a surprising and unsettling place in our home. If you find your allergies are causing unrest, it may be where you are placing your head to sleep. Pillows are problematic because they are not washed regularly with the rest of our bedding. There are many different solutions for this, and some are more effective and comfortable than others. Replace your pillows annually, or consider a different material or type of pillow – pillows with a tight woven covering will be harder for mites to penetrate, and allergy-proof pillow covers can be washed regularly. Your bedroom is meant to be a place of rest, but where the room is placed could be causing you discomfort. Allergens from trees and plants out your window can make their way into your bedroom. Air purifiers can help, and in some instances you may want to consider having the irritant removed. Pinpointing the source of a reaction can be a challenge, especially if the allergens are hiding in unexpected places in the home. 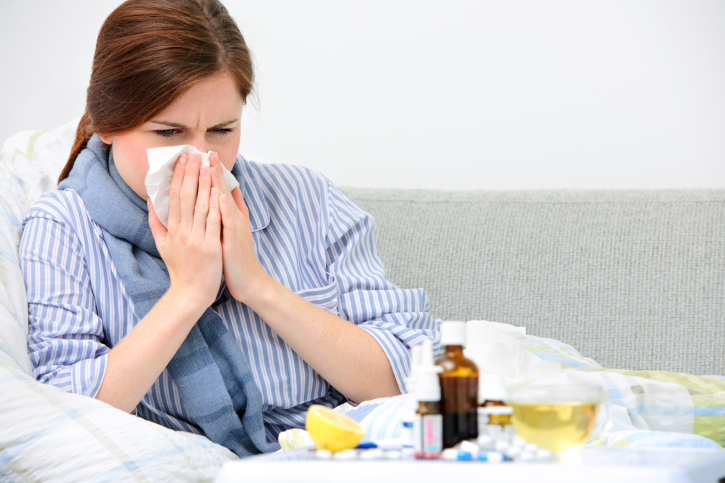 Allergies in the home shouldn’t cause residents constant problems. Seek out the culprits that plague your sinus, and breathe easy knowing that your home can be your sanctuary. For more information about available services and possible solutions to your allergen problems, call your trusted real estate agent today. Last week’s economic news was relatively flat, but highlights include the NAHB Housing Market Index for May, which posted its lowest reading since May 2013. Although analysts expected a May reading of 48, the May 2014 index reading was 45 as compared to April’s reading of 46. The NAHB reported that rising home prices and unpredictable job markets were factors in builders’ loss of confidence. Although the economy is growing stronger, many would-be homebuyers remain skeptical of economic conditions and remain on the sidelines. Builder confidence in market conditions for single family homes within the next six months were higher at 57, a one-point improvement over April’s reading. Builder confidence in buyer foot traffic increased by two points to 33; this was likely a result of warmer weather. David Crowe, chief economist of the NAHB, said that builder confidence is expected to improve as consumers grow more secure about their employment. Retail sales for April posted a gain of 0.10 percent over the March reading of an upwardly revised 1.50 percent and expectations of 0.40 percent for April. The Commerce Department reported that without the automotive sector, April’s retail sales were unchanged. The difference between March and April retail sales readings was attributed to a burst of spending after severe winter weather and the Easter holiday. Freddie Mac reported lower average mortgage rates across the board, with the average rate for a 30-year fixed rate mortgage one basis point lower at 4.20 percent. The average rate for a 15-year mortgage was three basis points lower at 3.29 percent. Discount points for 30 and 15-year mortgages were unchanged at 0.60 percent. 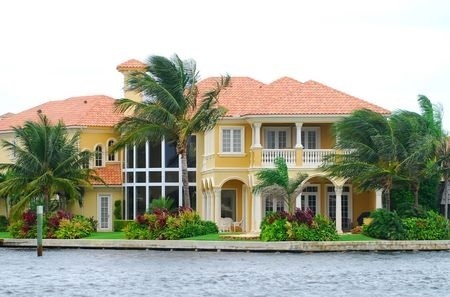 The average rate for a 5/1 adjustable rate mortgage fell by four basis points to 3.01 percent. Discount points dropped from 0.50 percent to 0.40 percent. New Jobless claims fell from the prior week’s reading of 321,000 to 297,000. Analysts had expected jobless claims to be unchanged from the prior week’s reading. The Empire State Index, which measures manufacturing growth in New York rose to 19.0 in May against an expected reading of 5.0 and April’s reading of 1.3. The Philly Fed Index, another indicator of manufacturing, surpassed its expected reading of 14.3 and came in at 15.4, but May’s reading was lower than April’s 16.6. This week’s scheduled economic news includes the release of the minutes of the last FOMC meeting, New Jobless Claims, Freddie Mac’s report on mortgage rates, Existing Home Sales, New Home Sales and Leading Indicators. But what if you don’t think your yard is particularly suited to a pool? Don’t rule out the idea just yet; instead, consider some of these different pool designs to suit different sizes and styles of backyards. For a relatively small backyard, you should always choose the right pool design that will ensure you make the most of the space. A particularly good option for a smaller backyard is opting for an above-ground pool and having a custom wood deck built around one side of it, while leave the opposite side open for the kids to play in. The addition, the wood deck will offer easy access for the kids to get into the pool, and will also give you a place to sunbathe while watching the kids splash around. For an ultra-modern backyard that is relatively small, and especially for a single-use backyard that is going to be dedicated to your swimming pool, a fiberglass pool might be your best option. Since the pool arrives in one single piece, already fully finished, the installation process is very quick and efficient. Offered in a variety of different shapes, sizes, and styles, you can surely find a fiberglass pool that fits your single-use yard, and you could even have it ready to use within one week. You’ll find that the smooth surface of a fiberglass pool is appealing. 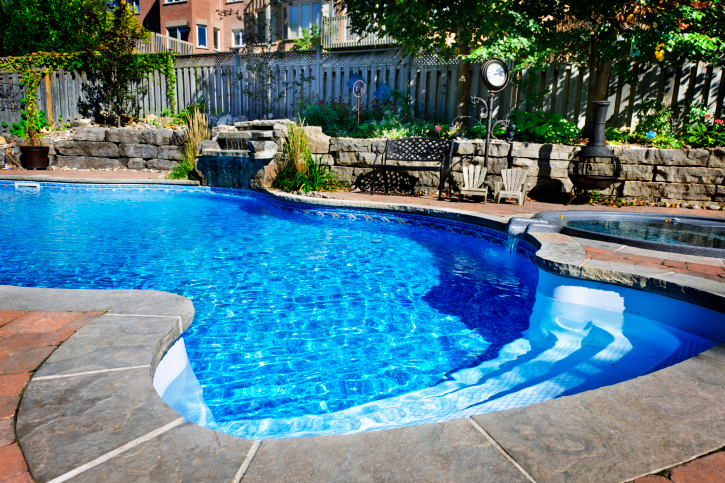 These pools are also easy to maintain as only a few chemicals are required for cleaning. With this type of pool that you’ll commonly find in vacation homes with modern, polished concrete backyards, you can turn your home into your favorite holiday destination, and much quicker than you might have guessed. If you have a large yard and aren’t concerned about using up too much space by having a swimming pool put in, why not opt for the most customizable concrete variety? A concrete pool can be constructed in virtually any shape or size you choose, allowing you to put your best creativity to use. You can opt for texturized pool surfaces as well as well as plenty of add-ons and built-in features, such as a custom entry or a ledge for sunbathing. Customized concrete pools usually take about 12 weeks to build. You can also opt to have a concrete or tile surface installed around the pool, while still leaving plenty of grass and gardening space in your backyard. These pools are also a great option for irregular backyards, as they can be customized to fit into virtually any shape, just as long as your yard is large enough. When it comes to house shopping, you can opt to buy a house that already has a pool. Or if you’d prefer to be more involved in the process, you can simply look for a house with a suitable yard. For a list of suitable homes in your area that you can view today, get in touch with your real estate professional and get closer to that at-home dip you’ve been dreaming of. 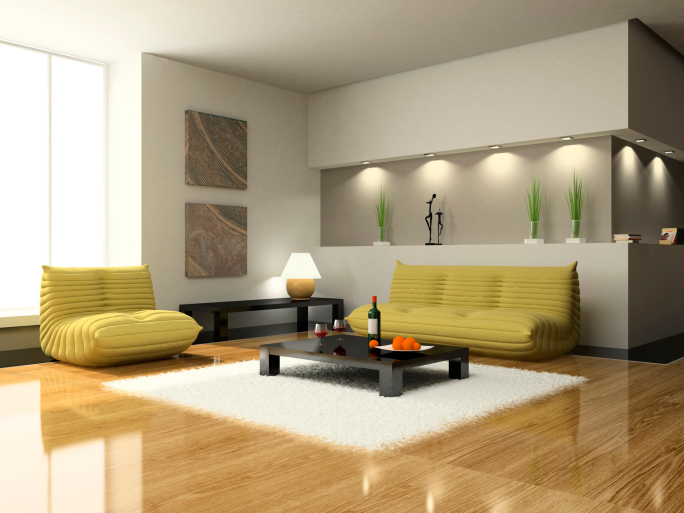 There are a number of ways that you can improve the look and style of a room without having to spend an arm and a leg. Of course, painting and stenciling are the most affordable ways to bring new life and unique detail to an old room. But if you’re intent on taking it to the next level, look no further than your windows. Your options are nearly unlimited when it comes to sprucing up your windows – and the great news is that with a little creativity, you can use many products that are relatively inexpensive to buy. Creativity doesn’t cost a thing, so check out these design ideas to get those creative juices flowing. You may be surprised to discover that many possible window treatments are already sitting in your attic or garage. If you’re a scavenger and regular Sunday garage sale goer, you may discover the perfect piece of outer decor that can transition nicely into the interior. Consider a wood awning effect by using shingles or reclaimed wood for a rustic appearance. Another trend that designers are seeing this year is in the use of stained glass or reclaimed woodcarvings that have been saved from demolition. Having a hand-carved feature is going to cost quite a bit to get custom made. However, many old doors and shutters can provide the same look without the need to have them custom built. When it comes to customizing your one-of-a-kind look, a painting project is a great way to create something original. You can get fabric-specific paints, as well as functional white or cream linens, for a minor sum. There are also services that can even print a design or picture directly onto your fabric for a unique and professional creation. To create an immediate tie-in to a color scheme or accent color, consider painting the trim and wood slats of the window. This is an excellent and cost effective way to bring attention to your design features but also help to anchor a color within a room. In the past, cornice boards were used to add weight and height to a window treatment. These days, they can also add architectural detail to spice up a room that appears flat and boxy. The great thing about cornice boards is that they can be individualized to suit the design and color scheme of the room: either with a solid paint job, or with monograms or stenciled images. Thanks to the unique designs that you can create with these window treatments, you’ll never again have that “pre-packaged” look for your windows. As your lifestyle changes, a fresh coat of paint will rejuvenate the look and can quickly be adapted to match the new color palettes of future trends. Reinventing windows is a great way to aid in a home staging project in order to prepare and beautify a home for sale. For more tips on updating your home’s look, call your trusted real estate professional today for answers and advice. When it comes to selling your home, there are many measures you can take as a homeowner to increase its value and appeal. You can often accomplish this through something as simple as updating your home’s light fixtures. Here are some easy lighting solutions you can bring into your home that will transform your living room, and make the space much more appealing to your prospective home buyers. Here’s how you can lend your living room an air of class that can’t be paralleled: install a beautiful crystal chandelier. As something that never goes out of style in the world of interior design, chandeliers have actually seen a big comeback. You’ll be immediately surprised how something so simple and classic will transform your living room, suddenly making it your new favorite room in the house. If you’re looking for a way to transform your living room that will tie the design together and won’t be too difficult to install, perhaps opt for matching side table lamps. Just by adding a pair of matching lamps to your living room, you’d be surprised by the level of cohesion your living room will suddenly have. Table lamps can offer the perfect amount of lighting for a more intimate or relaxed setting, as well. Recessed spot lighting is something homeowners sometimes opt to have installed throughout their entire home, since it offers a sense of demure brilliance. Well hidden and offering the best of warmth and light, recessed spot lighting can highlight your living room’s focal artwork or simply light the entire room for a welcoming sitting area. The arc floor lamp has become a hit in the world of homes, too, bringing with it a sense of retro fun we’ve missed for so long. This is a simple and easy fix that can transform your living room without the need for screws and tools. This grandiose arc-style lamp also creates a focal point similar to how a chandelier might, but is much easier installed: just plug it in! For an update that is quick and easy but will allow for ample lighting in your living room, consider the installation of a subtle ceiling light fixture that is mounted close to the ceiling. This is a perfect solution for a living room that has another focal point, like a piece of artwork, and it will bring a sense of modernity to your space that will transform it more than you might expect. In the world of home lighting, you’ll soon realize just how many options are available to you that will surely increase your home’s appeal. Creating a warm and welcoming space, especially one as significant as the living room, is key to ensuring that your home shows well and is something that prospective homebuyers love. For more information on how you can increase your home’s appeal to the buyers in your market, call your trusted real estate professional today. Did you know that dry rot is ironically created from having too much moisture come in contact with wood? 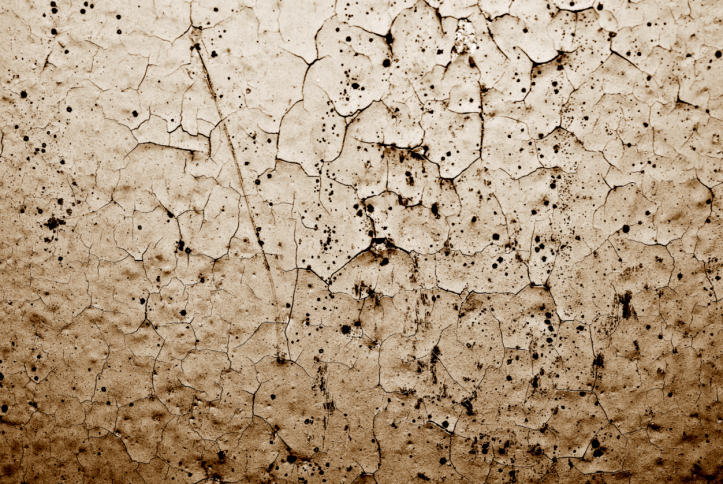 The fact is many homeowners are unaware that dry rot is even setting in, so the first step toward prevention is being able to diagnose possible areas of exposure before dry rot becomes a major renovation expense. Remember that dry rot to your foundation can be an extremely costly repair and will definitely figure prominently into the total value of your property when a house inspection is completed prior to a sale. As well, fungus and mold spores can affect the air quality of your home, which is a health problem for not only you and your family but also for prospective buyers. In a very simple sense, discovering moisture or a leak on a wall or ceiling is an early sign that damage is occurring. Always inspect ceilings for particular evidence, especially around skylights and exhaust piping, as well as heating or cooling ducts. If damage was done to your roofing membrane during an installation or renovation, water can seep through. Do an inspection of your basement in order to determine if any discoloring is happening to walls or wood. If you can smell mold or mildew, you may have a problem. However, this doesn’t mean that you’re already suffering from dry rot, just that the area is a hazard and should be sealed properly. Deal with the cause of the leak before you proceed to the repair stage. If you have discovered wood that is either in the process of rotting, or has succumb to some water damage, the best thing to do is simply replace it. Once you’ve sealed the leak that initially caused the damage, discuss with your contractor the scope of the replacement job. When installing new wood, it’s best to make sure that it’s treated with a Borate wood preservative to prolong its life and resilience to fungal infection. In some cases, you may not need to replace wood at all. You may be able to get away with only cleaning and then treating the area with Boric Acid, a fungicide that will slow down the spread of existing fungus and kill future growth. This step will depend on the unique needs of your home’s situation. Generally, you have the option to choose between a dry powder and a glycol-based liquid concentrate. While the powder may appear less expensive, it may not do as thorough a job of absorbing deeply into the wood fibers. Depending on the depth of fungal intrusion, you may need to use the more powerful liquid substance. Both are easy to apply, so you should be able to tackle this task yourself. Maintaining the quality of your home is essential for keeping up its value when it comes time to sell. Call your trusted real estate professional today for more advice on preserving the value of your investment and identifying areas of risk and exposure to dry rot. Remember that it’s far easier to deal with problems now before they develop into major expenses down the road.